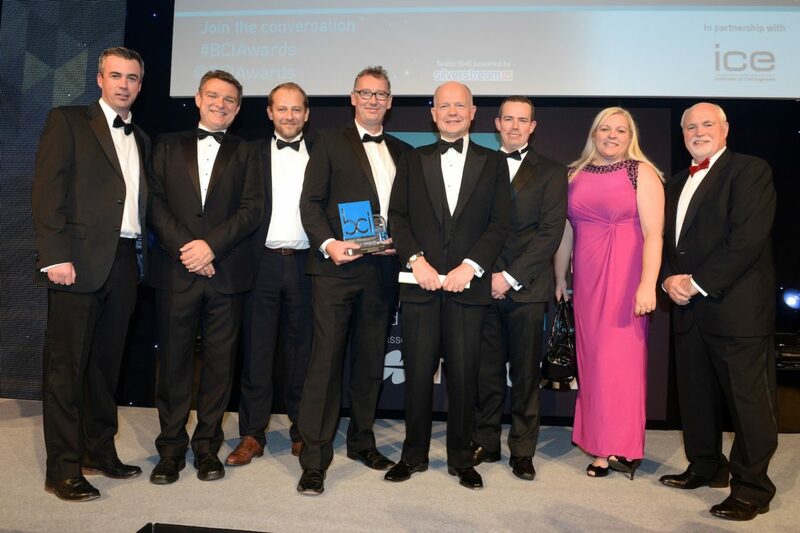 Lagan Specialist Contracting Group has won a major UK construction industry award scooping Civil Engineering Project of the Year (£10m to £50m) at the British Construction Industry Awards 2015 with Suffolk Energy from Waste project. The award recognises civil engineering projects valued at between £10m and £50m. The project Suffolk Energy from Waste, has been built as part of Suez Environment’s (formerly SITA UK) 25-year, £1bn private finance initiative (PFI) waste management contract with Suffolk County Council. Lagan Specialist Contracting Group acted as principal contractors on the project with works valued at £40M. The £180M state of the art facility is designed to meet exceptionally high standards in operation the building, with the ability to process 269,000 tonnes of waste per year and provide 30MW of electricity enough to power 30,000 households. The building also provides community facilities to enhance education and understanding of the role of waste management. Considerate specification in design, and effective integration into the landscape, has allowed the building to achieve a BREEAM “excellent” rating, making it one of the greenest industrial buildings in the country. Suffolk Energy from Waste, caught the eye of judges for its “elegant solution to what is traditionally a very messy operation”. The awards took place at the Grosvenor House Hotel in London on Wednesday 14th October. Pictured L – R: Gareth Rooney, Phil Bentham, Thiebaut Legrand, Brendan O’Reilly, RT Hon William Hague, Barry McStravick, Jane Hughes, Russ Morgan.